Doi Inthanon National Park might be a little outside of Chiang Mai, but it makes for an excellent day trip. There are a bunch of guided tours out there. These are great if you do not want to rent a car/driver (like me) or cannot be bothered about doing too much research. You can even combine your visit with a trip up Doi Suthep with a Chiang Mai homestay, in case you are only spending a few days in town. Should you have more time on your hands, there are plenty of things to do in Chiang Mai, too. 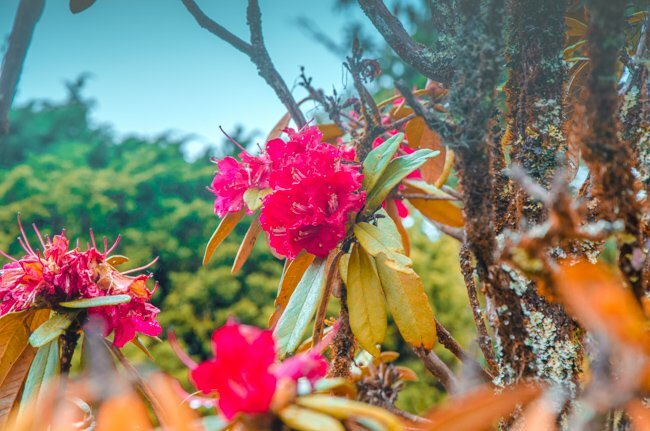 For those who like to DIY it, here are some helpful tips that will come in handy on any Doi Inthanon day trip. 1 Why is Doi Inthanon National Park So Special? 2 When is the best time to visit Doi Inthanon Mountain? 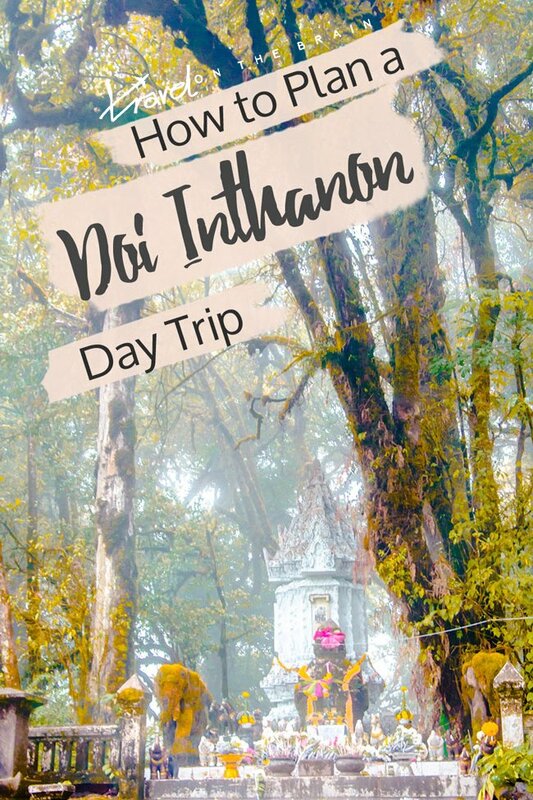 7 Is A Doi Inthanon Day Trip Worth It? Why is Doi Inthanon National Park So Special? First and foremost, Doi Inthanon is the highest mountain in all of Thailand and an official national park. The mountain changed its name over the past. It used to be known as Doi Luang or Doi Ang Ka, but when King Inthawichayanon died, the mountain was renamed in his honour and became his burial ground. After all, he was heavily involved in preserving Northern Thailand’s forests and this area in particular. For him and the Queen two pagodas were erected. Thanks to the continued preservation efforts, flora and fauna flourishes. Due to the geographic location, covering both lowlands and heights of up to 2,565m, there isn’t one uniform climate and ecosystem to be found. 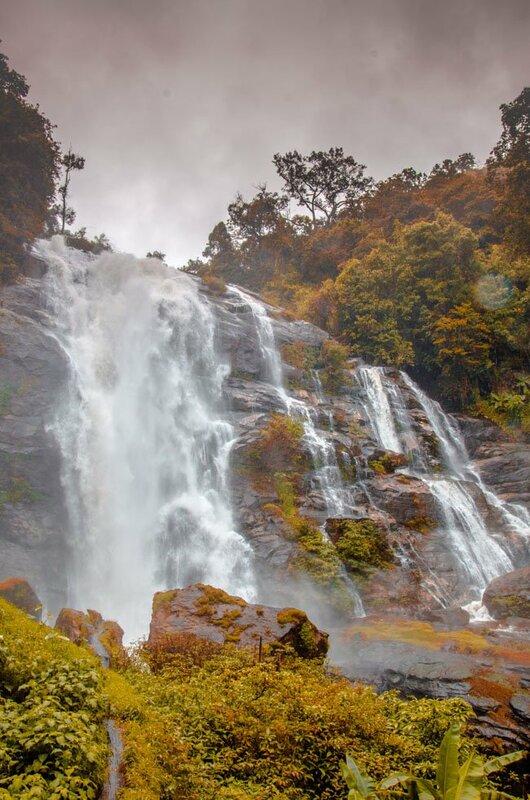 Admire over 360 bird species, check out multitude of waterfalls and trek through the lush greens. When is the best time to visit Doi Inthanon Mountain? If you want the best shot at sunny skies overhead, do not visit between April and November. During that time, you can expect daily rainfall as it is rainy season. Although the park is tropical, you might want to dress up warm in winter as the average temperature is around 6°C and can to around freezing point. During summer, the generally cooler temperatures will sure come in handy. Even if you check the weather report for Doi Ithanon, don’t trust it too much. Try opting for a day with little mistiness and few clouds to get the best views. However, due to its tropical and humid climate area, you might run into fog or rain clouds. Bring plenty of time, come prepared and then enjoy your trip no matter what. To catch the Siamese sakura in full bloom, visit during late January and early February. If waterfalls are your prime reason for visiting Doi Inthanon National Park, come between May and November as the waterflow is strongest then. As always, there are three options. Number one is to get everything taken care for you and join a guided tour. 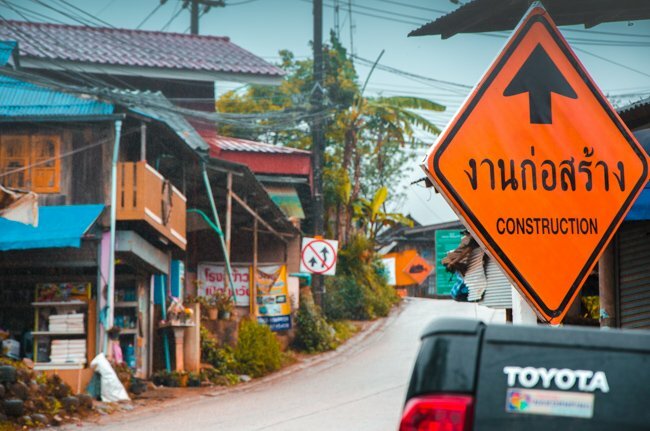 Option B is getting your own car but even though the drive is only a little over an hour, the traffic in Thailand can get crazy and the roads are steep. Coming here on a scooter is only suitable for experienced drivers. Your best bet is to hire a driver for the day. Your hotel or a nearby travel agent will be able to direct you to a good local driver. Prices are usually between for 1,500 and 1,800 baht. During peak season, make sure to book in advance because it can get busy. Leave as early as possible because there can easily be thousands of visitors in one day alone. (On New Year’s Day it is up to 12K!!) The big bonus of this is that you can set the pace yourself and stop wherever you want as opposed to a group tour, for instance. I didn’t try public transport, but there are local buses going to the entrance of Doi Inthanon Mountain and from there, you really need to get a driver. Catch a songthaew for 140 baht per person or a minibus for 180 baht per person from Wat Prathat Si Chom Thong. For a more detailed breakdown on public transport, check out the official page. As you might know from my many disastrous walking escapades (such as getting lost in Tokyo), I love walking. While you can and should do a couple of hikes on Doi Inthanon mountain, walking between the main sights and attractions isn’t feasible. You will need to pay entrance fees twice. Once at the entrance to Doi Inthanon National Park, amounting to 300 baht for foreigners (50 THB for locals), and then for the two pagodas, which is 40 baht. Opening times of Doi Inthanon National Park are between 5:30 am and 6:30pm. Visiting one of the many waterfalls on Doi Inthanon is a must. I opted for the – more touristy – Wachirathan Waterfall. Parking was super close by and you can easily follow a path along the river to see some rapids, too. 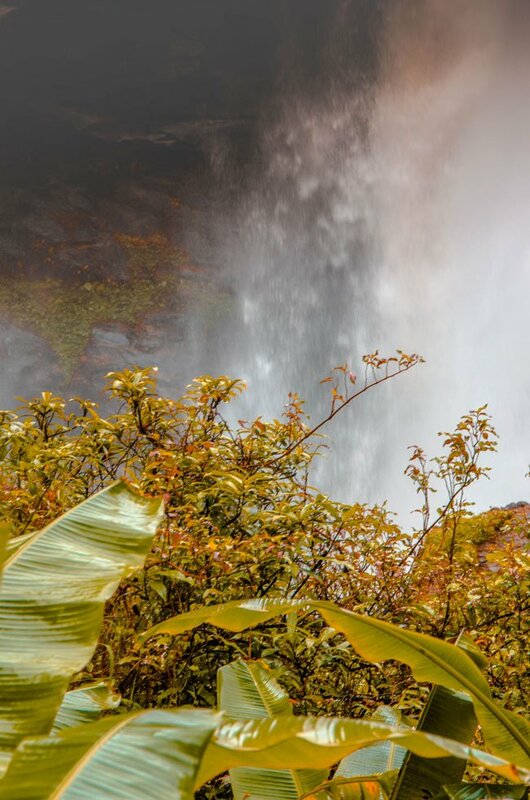 Other waterfalls include Mae Klang, Sirithan, Siribhume and Mae Pan. Swimming is forbidden in most of the waterfalls. 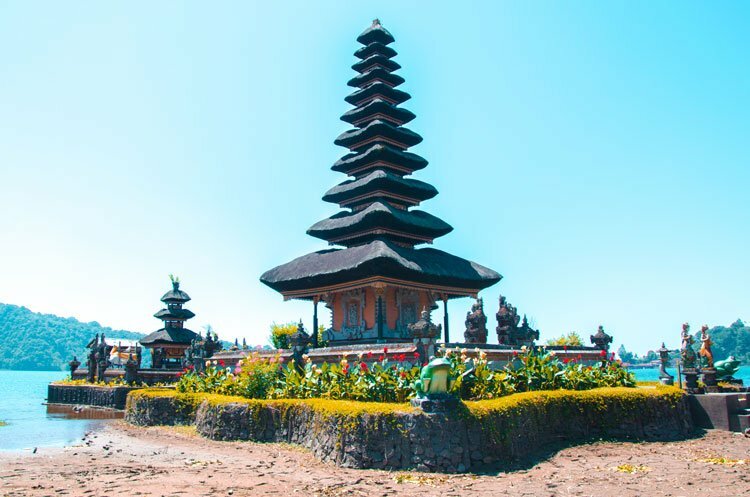 Of course, the main highlight are the two royal pagodas, called chedis. They were erected for the 60th birthday of King Bhumibol Adulyadej in 1987 and Queen Sirikit in 1992. Their respective names are Naphamethinidon (นภเมทินีดล) and Naphaphonphumisiri (นภพลภูมิสิริ). The pagodas are painted in a pastel lilac tone and stand out in their airy location. Going in, you can find a small shrine and wonderful ceiling mosaics. Just outside is a small garden with a pond and bridge. 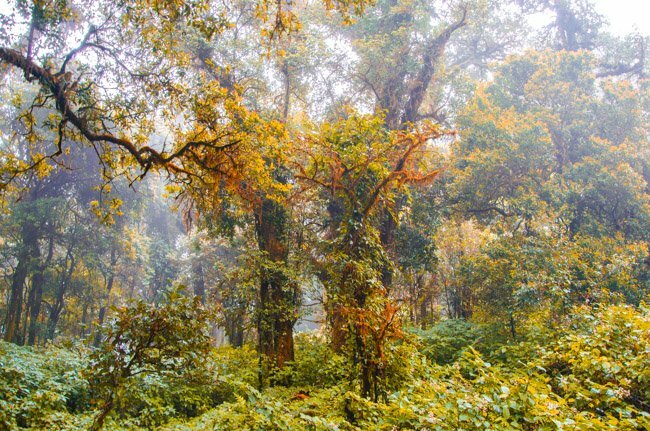 If a hike is what you came to Doi Inthanon mountain for, try the Giew Mae Pan Nature Trail. It will guide you through curvy trees that are covered in green moss and grey lichen and onto picturesque mountain ridges with super far views. The forest looks far from tropical forests you would usually expect. 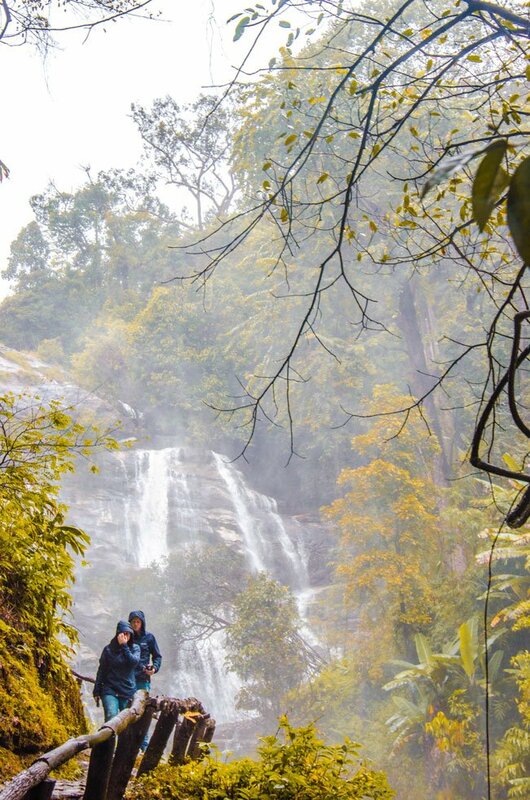 In case you aren’t feeling like hiking, you can drive up to the top of the mountain, park your car and take a quick stroll along the Ang Ka Luang Nature Trail. This is also where you will find the obligatory name board. No Thai tourist can go without taking a selfie there! 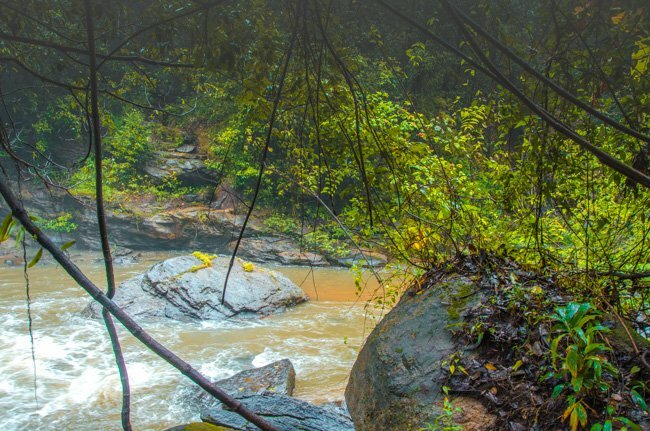 For a little more challenging nature trail, hire a guide and hike Kiew Mae Pan Nature Trail. Locals love this one as well and it has super scenic views! When you get hungry and forgot your lunch package at home, fret not. You can easily stop by one of the local villages and dine at a soup kitchen. Just don’t expect a big selection, let alone a fancy restaurant. If your car needs fuel, you can get that as well. Also, there are plenty of toilets near the attractions. Since Doi Inthanon Mountain is within reach of Chiang Mai and makes for a great day trip, you could simply stay in Chiang Mai. There are different accommodation options to be had, ranging from upscale hotels to more lowkey boutique hotels, such as Somwang Boutique Hotel, and hostels. For longer stays, you can join a co-living hub and live the digital nomad life. Why not treat yourself after a day out and about and stay at the beautifully minimal yet stylish T Table Inthanon? A little more lowkey, glamping will feel like the best idea with wooden walks along rice fields underneath starry skies and fairy lights at Nok Chan Mee Na. In case you do want to stay close to catch sunset and sunrise on a clear day, you could consider camping. There are campsites in Doi Inthanon National Park, such as around the main park headquarters, where you can rent tents and camping accessories. Alternatively, you can rough it at Chomthong Farmstay and Camping. Depending on what time of the year you visit, you need to adjust your wardrobe. For rainy season, definitely pack a sturdy raincoat and cover your camera gear. It WILL get wet. Regardless of your visiting times, it can get somewhat cool towards the top, so think in layered looks. Be the onion! Get a rain jacket, put on waterproof hiking shoes with a good grip sole and wear breathable clothes if you want to hike. During winter, you need to pack for weather between 0-10°C. Is A Doi Inthanon Day Trip Worth It? I definitely think so! You might have to get up early to avoid the crowds and of course, you have to monitor the weather. 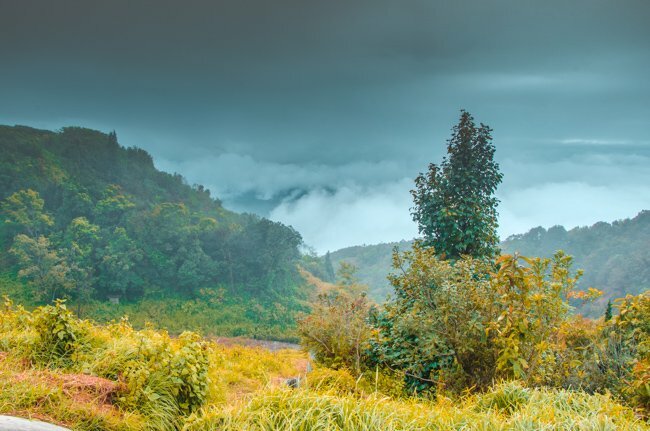 When I went, it was rather rainy and the clouds hung low, which made it harder to fully enjoy the beauty of Doi Inthanon National Park, but I wouldn’t have wanted to miss out on it. There are plenty of waterfalls you can stop at on your way up the mountain. This isn’t just for quick photo opps. 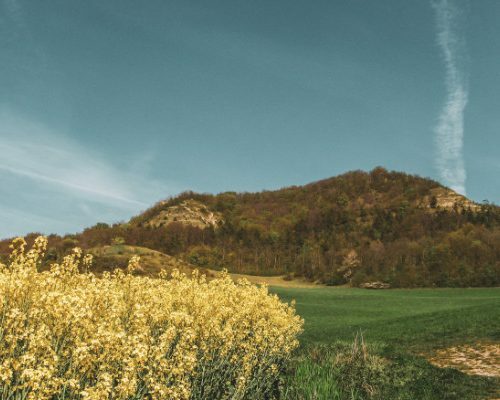 You can totally make the most out of your day trip by doing a few hikes, having a relaxed lunch and taking it slow. Depending on your travel style, you can DIY it with a personal drive(r) or join a group tour, such as with TourRadar . Completely roughing it by yourself and reyling on public transport isn’t a good idea when it comes to this day trip. This way, you can fully enjoy Doi Inthanon Mountain. Tell me, are you considering to visit Doi Inthanon National Park? How did you find out about it? Wow this national park looks so amazing. You made some really beautiful pictures. Too bad I missed it when I was in Chiang Mai. 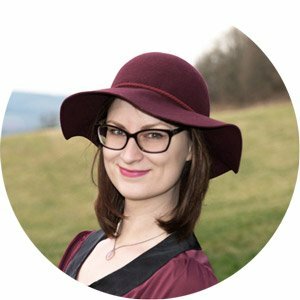 Hi Maike, maybe you can visit some other time? Interesting, I didn’t realize this park was so close to Chiang Mai. It looks really beautiful! 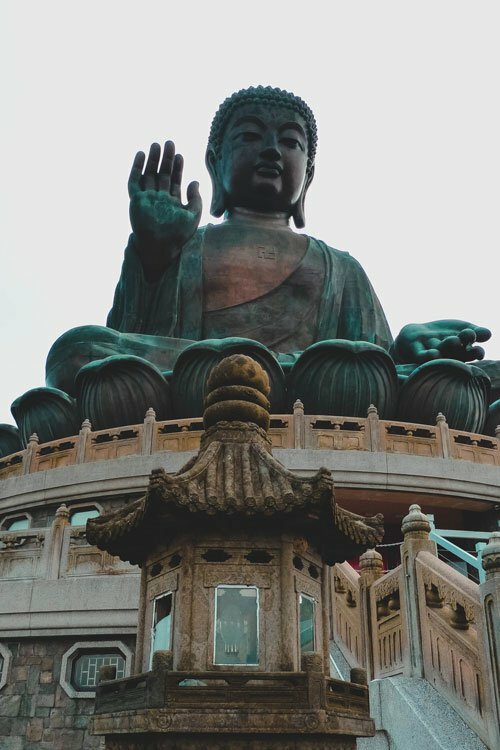 Thanks for the tips on how to visit — I can imagine if there are already huge tourist crowds, it’s way better to go on your own than with a tour. Hi Carrie, yeah the same. My visiting friends made me aware of it and I am really glad they did. Wow, it looks incredibly beautiful! Happy to hear it’s protected. Hi Sophie, it really was a stunner. Such a wonderful National Park. This is really helpful! 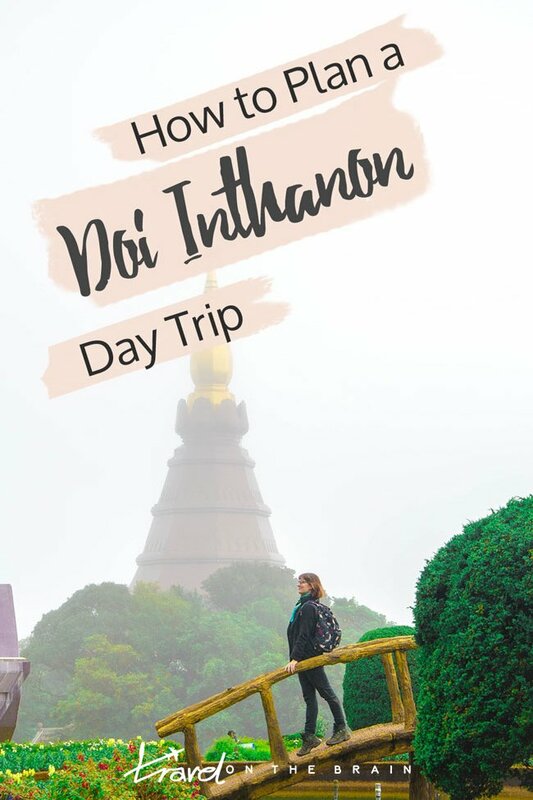 I will be going to Doi Inthanon this November and at first I thought of joining a group tour but I found out in here that we can actually do it in our own. Just a question. From Chian mai to Doi Inthanon, is the road really that difficult or is it all concrete? Also, do we leave our scooter at the entrance and walk our way through the top? My boyfriend will be coming with me and he is a really good driver so I am thinking that maybe he can manage driving us through. That would really be a great bonding experience for us! Hi Maricar, the roads between Chiang Mai and Doi Inthanon are all concrete. Even within the National Park, it’s pretty touristy so roads are alright. You can keep your scooter and car at the entrace. There are parking spots near the attractions. Walking to the top would take quite long. I wish you two lots of fun! Thanks for this great post! I am going back to Asia this December and was thinking about visiting Doi Inthanon. But then I realized that it will probably be very cold there at that time. I have a dumb question, are any of the flowers in bloom at all in December aorund the pagodas? Do you think it would be worth it to visit in December? Thanks! Hi Joseph, that’s not a dumb question. The park is very pretty but not many flowers were blooming when I visited so that was a tad disappointing. So I totally get it. In December, the lotus flower is in bloom, there might be some on the pond then. They do gardening around the year so I’m sure some flowers will be in bloom and then there are the ornamental cabbage beds. It would still look pretty, I believe. 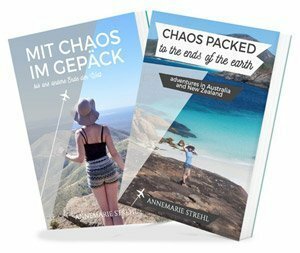 How would it be to visit in December? I will be in Asia then. Is it too cold for the flowers to be in bloom at that time? Hi Joe, I think December isn’t prime flower season though some might still be in bloom as there is constant gardening going on at the pagodas. Mostly ornamental pumpkins, however. It would still look pretty but might be more misty and rainy. 1. I already rent a car and will drive by our self, we are 4 adults in my family, do you think we should find a driver ? is it dangerous because of the steep road / not enough direction so we are difficult to find the attraction spot by ourselves ? google maps can guide us there , right ? 2. do we need a sneaker if we just going to see the waterfall ? we better choose Ang Ka Luang Nature Trail ? Hi Lia, it’s not dangerous, if you are an experienced driver/drive a lot, you will be fine. There are directions but it certainly helps to put on your navigation/Google Maps. What do you mean with sneaker? The shoe? There are parking spots near major waterfalls, so you will be fine in most footwear. Just know, that it might be slippery and a uneven. It’s an easy walk though. If you want to hike part of the trail, you can follow it for an hour or two and return. I do think it might be manageable in a day but with kids and no guide, I might not do it. I personally haven’t done such a hike so I can’t give you more detailed information. Have lots of fun! My mother and I will be in Chiang Mai for about 5 days. I would love to visit Doi Inthanon. We love the views and the beauty of it from pictures. Is it suitable for a senior? She is in good health and can do good amount of walking. However, she would not be good with lots of steps. What tour did you use? Any you’d recommend? Thank you so much! Hi Kim, if you go on a tour or drive to Doi Inthanon, you can walk to the Pagodas and a waterfall from a nearby parking lot. I think if she is good with walking, it’s totally possible. Just wear outdoor appropriate shoes for good footing. I always wear my Lowa hiking boots. They might be a tad warm but I love them (though that being said, they are not the best when the floor is slightly wet). My husband and I will be in Chiang Mai next month and are thinking of making a day trip to Doi Inthanon national park. Can you tell us which company you used to hire a car and driver? Hi Kiran, that sounds super exciting. It’s a great day trip. Unfortunately, I can’t remember the car company I used. Sorry I can’t help you there. I would ask at your hotel reception for a good local tips so you won’t be ripped off.